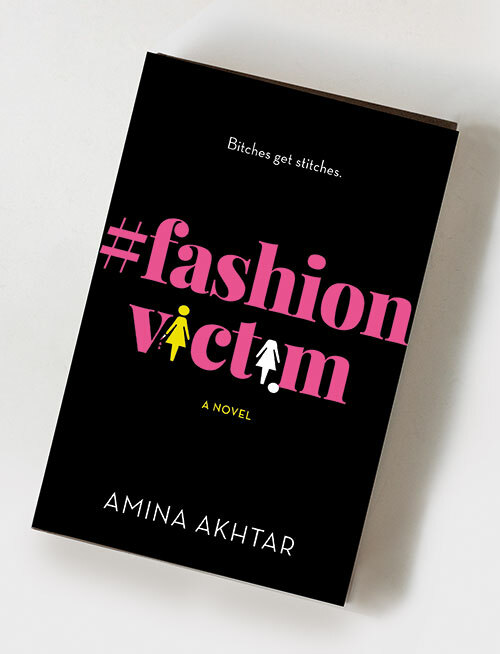 Amina Akhtar’s debut fiction novel, #FashionVictim, is a murder mystery with a complex protagonist who has a penchant for Givenchy and a fascination with blood. And though her story (a not-so-sample-sized fashion girl goes on a killing spree in order to retain her position in a popular fashion magazine) is woundingly funny, Akhtar also examines serious topics that still riddle the American publishing scene — race, representation and body issues. 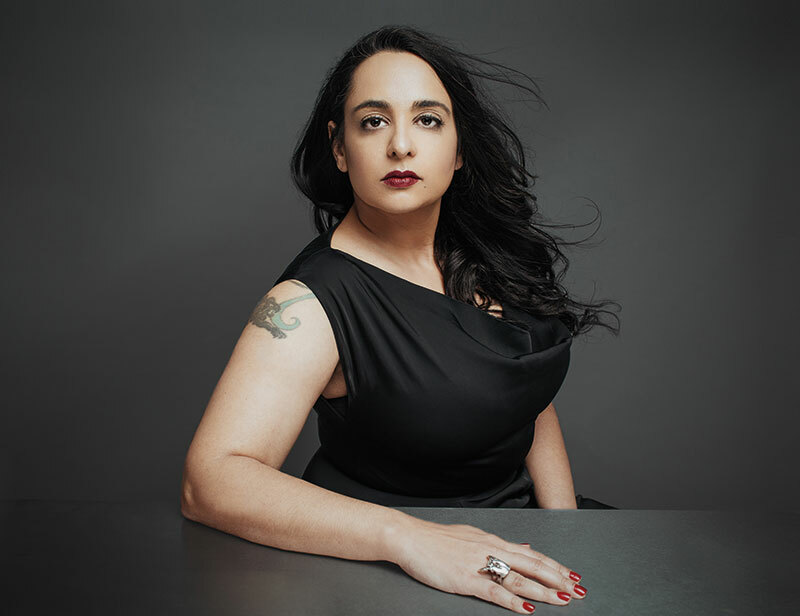 The Pakistani-American author, who traded in her city life for the mountains of Arizona, borrows references from a 16-year stint in the fashion industry with leading publications such as the New York Times’ Style section and New York Magazine’s fashion blog The Cut, of which she is a founding editor. Akhtar fully understands what it takes to navigate the treacherous territory of New York City’s cut-throat media landscape. “I once had a boss who always threw shoes at my head,” she says nonchalantly. “I eventually learnt how to dodge her.” Although she insists the book is a heavily exaggerated version of her real-life experiences — “Let’s just say I have never murdered anyone,” she clarifies — the overarching theme of power imbalances and their implications is unequivocally relatable. As rain pelts down on the streets of New York, I catch up with Akhtar who’s back in the city to promote her book after two long years. Excerpts from our conversation…. Your book is quite gripping. When and how did you think of the plot? It definitely is a little crazy! In 2008 or 2009 I was working at The Cut for New York Magazine, and I had this idea to write a book about a serial killer who works in fashion. People always underestimate these women. They don’t think they are smart enough and so I thought it would be funny to make a girl from that world a killer as nobody will believe that she is one! And then I didn’t do anything with it because when you’re busy working, time gets away from you. In 2014, I got laid off and my mother passed away. So I ended up spending a lot of time in my apartment not doing anything. To kill time, I started writing because I needed something to focus on to divert my mind from all that had happened. Weirdly enough, I wrote this crazy book and it helped me feel so much better. And honestly, it made me laugh. I thought, ‘Well, if it makes me laugh, it’ll make somebody else laugh.’ I like the fact that the mystery isn’t who’s committing the murder but how she’s getting away with it. It’s also a little bit about who you, as a reader, are rooting for in the end. How much of the book borrows from your own real-life experiences? All the things that happen to the “token brown girl” in the book have happened to me. We assume that everyone is liberal and accepting, but there is this undercurrent where people say things like “Oh you’re the token hire”. I was told that when I was at a leading fashion magazine in 1999. There were jobs where I was told to put resumes away because the names were too difficult to pronounce; where I was told not to hire black people. And I was like are you crazy, I hired whoever I wanted but that was the stupidest thing I was ever told. I put a lot of that in here, because we need to have that conversation. It’s not just us, it’s black and Latina writers as well — it’s across the board. Now there is a little more diversity present, but it’s still mostly at entry-level jobs. It’s either assistants, or assistant editors but we need people at the top so that we don’t have the ‘first black photographer’ shooting the cover of a major fashion magazine. It should be normal. Fashion has probably never been as inclusive and diverse as it is now. Do you think it’s just a trend or are things really changing for good? My last job was at a website where we would rank the diversity of runway shows, and I thought that was really important because it had to start somewhere. The irony of it was that this was the job where I was told not to hire black people, and yet we were talking about diversity. I do think there is a shift in perception for a lot of writers and editors, but I also think there are publications that act ‘woke’ because it is a trend. But diversity is not a trend. It is just the way things are, and the sooner magazines and websites feature plus-sized and gender non-binary people, the more they are going to succeed. Was there a reason that the protagonist, Anya St. Clair, had to be white? Honest answer? I didn’t think I would get published if I made her Pakistani, because then she would be deemed a terrorist. In this country, mental illness and excuses like that are only for white people. So I would have to go into this whole section about how she is not religious and why this has nothing to do with her race. I don’t think I could have moved forward if she were desi, or even if I made her black or Latina. If #FashionVictim was ever adapted into a TV show or movie, which actor would you pick to play the role of Anya St. Clair? It was optioned, and there was a pilot filmed which was written by Daniel Waters, the writer of Heathers (1988) and Mark Waters, the director of Mean Girls (2004). But as it sometimes happens, it’s been put on hold, and currently being shopped around. If casting was up to me, I think it would be interesting if Freida Pinto played Anya just to shake things up. Tessa Thompson is another great option. I don’t care if she’s Anya or someone else. She’s so perfect, gorgeous and smart that I would love to have her in the show. I would also like to have the most diverse cast that Hollywood would let me have — because after fashion, it’s Hollywood that’s struggling with diversity. You have worked for some of the biggest names in publishing and have had the sort of career that many young women dream of. Do you ever regret giving it up and moving away? No. I think what I had to really contend with is that I loved the people I was lucky to have worked with, but I didn’t enjoy the work after a point. I didn’t enjoy the idea of writing the same fashion story over and over again. It’s like doing Mad Libs — I just couldn’t accept the idea of doing that forever. I changed. I think people should embrace change. Let someone who is young, hungry and excited to have these jobs do them. Is there going to be a sequel to the book? I don’t know if I would do another one. It depends on whether people really want it. I am writing something now with a Pakistani character, but it has a completely different kind of voice than Anya’s, which is crazy and over the top!